Use wax at room temperature. 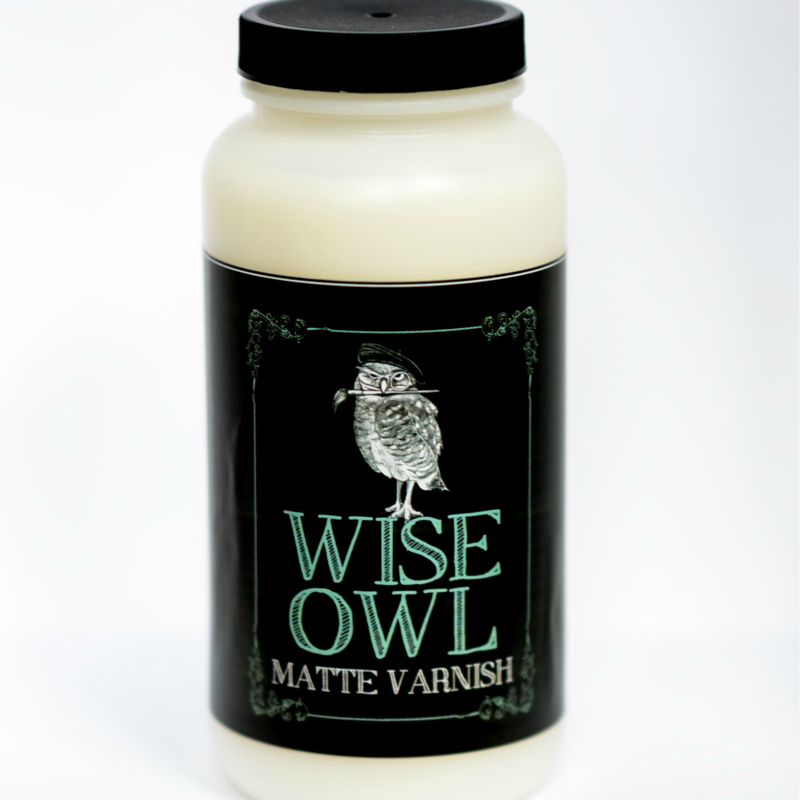 If your wax is too cold, application will be difficult as the wax is at its ideal workability is at room temp. 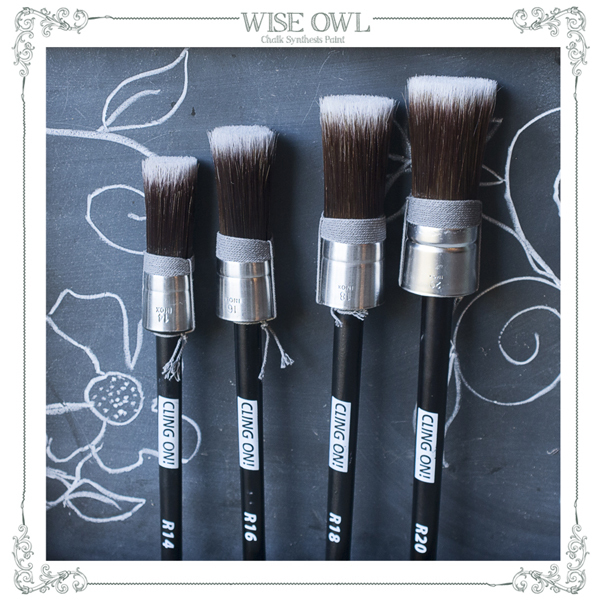 You may use a rag to apply wax but the preferred method is using a round natural bristle brush for application. This will make quick work of waxing while creating more uniform coverage. Swirl your natural bristle brush in the wax a few times until you can just barely see the wax on the tips of bristles. 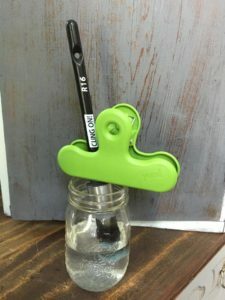 A little goes a long way so save your elbow grease and cut out buffing time later. You may wax in circles or with the grain but work in small sections by applying the wax and buffing off with a lint free cloth. An old t-shirt will do but if you are waxing a piece painted in black, use a dark t-shirt, and use a white t-shirt on whites. This will help eliminate visible lint from showing up in your wax finish. To buff off, wipe the wax off until it no longer feels tacky. Move on to the next small section and continue until you have waxed all painted areas. The wax will continue to cure to its strongest finish over the period of 2 weeks-30 days depending on environment and relative humidity. 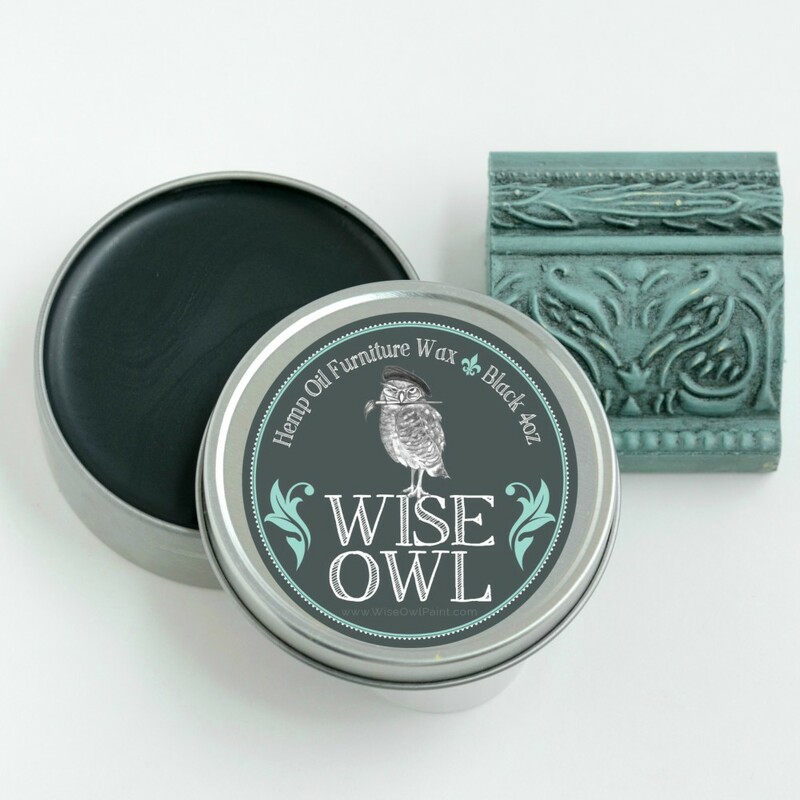 You may use your piece while you are waiting for it to cure, just know, it is at it strongest protective quality after the waxes and oils are able to re-harden within the paint. You may layer waxes of different shades to create your desired look. Remember, wax is last! 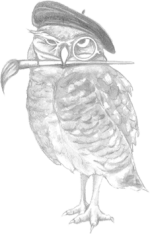 Since wax is a barrier product, you will not be able to polyurethane over wax. Should you decide to paint over a waxed finish, lightly sand and clean well to remove wax buildup. Hemp oil is an ideal sealant and this stuff is magic! If you desire a buttery smooth finish with a tenacity that rivals poly for protection and is even suitable for outdoor furniture, hemp oil may be your best option. Once again, hemp oil is a rich natural hemp color that can range from rich olive oil to amber depending on the season it was collected in. 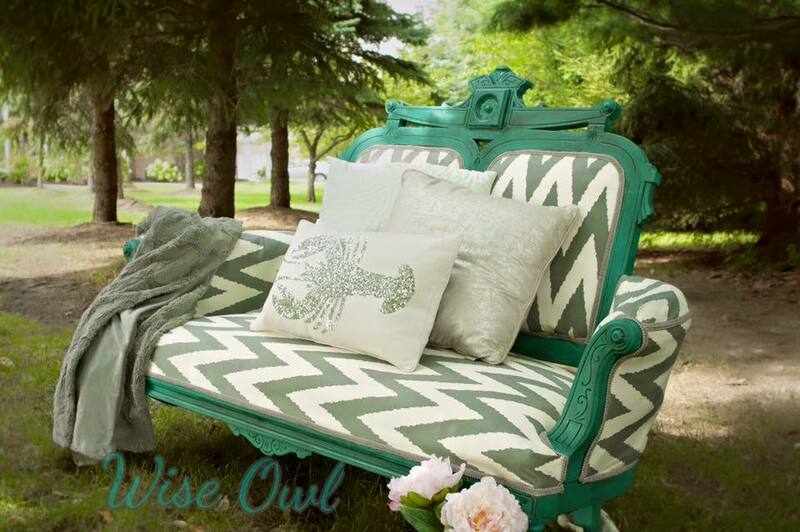 This makes it suitable for colors besides white since it can antique or discolor whites lightly (Unless you are going for that look then go for it!) Hemp oil is a natural fungicide with anti-microbial properties that richens wood and makes a killer strong paint sealant. 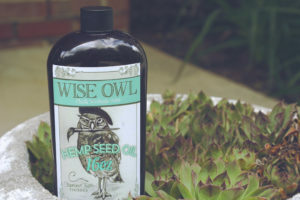 Hemp oil is great to rehydrate, protect and richen raw wood, sealing stained pieces instead of using a polyurethane, shining up wood sealed with a poly, or for removing patina from hardware. If using hemp oil on a heavily distressed piece, you will find it penetrating through the wood finish beneath and adding richness and beauty to it. The key to finishing a painted piece with hemp oil is wet sanding. Glaze adds a unique antique finish to painted pieces. If you desire a less uniform look than paint alone, or have a piece with lots of detail, glaze may be a good choice for your piece. Our Black Walnut Glaze is a favorite and adds a rich dark brown patina to pieces. You may also glaze over a surface finished with polyurethane, or over a raw wood finish as an alternative to a gel stain. To glaze over paint, sand well! This is one time when it is absolutely necessary to create a smooth finish before beginning. 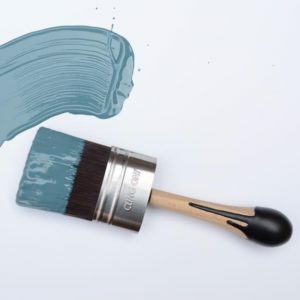 Sanding your paint will close some of the pore space so the glaze will absorb in a more uniform finish and allow the glaze to glide over when wiping away. To apply glaze, work in small sections. I recommend practicing on a smaller piece or frame before taking on glazing a huge piece as you perfect your desired technique. Apply the glaze in the direction you painted, with a sock or a paint brush. 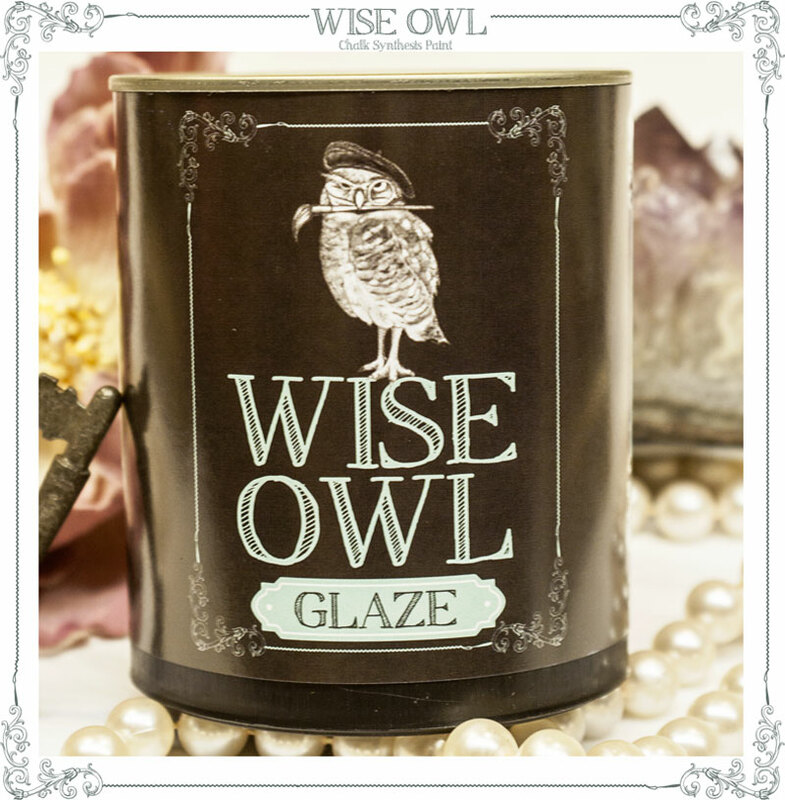 After applying, immediately wipe away glaze until desired finish is achieved. Work quickly and do not try to wipe glaze after it has begun drying. Remember, glaze will remove glaze so if you overlap over glaze that is in the process of drying, you can pull up some of the glaze. This is ok, but to get a more uniform look, quickness is key. If you aren’t happy with an area you have glazed, you may add a little more glaze and wipe away to remove some of the previous finish. Allow the glaze to settle and stay in areas with detail to add a dimensional look. A second layer of glaze may be added once dry if more dramatic finish is desired. You can apply with a sock on your hand and wipe off with another sock on the other hand for quick easy application. Our glaze itself is a strong sealant, but depending on the amount of glaze left on surface, you may need to apply a wax or Wise Owl Matte or Satin Varnish for extra protection. 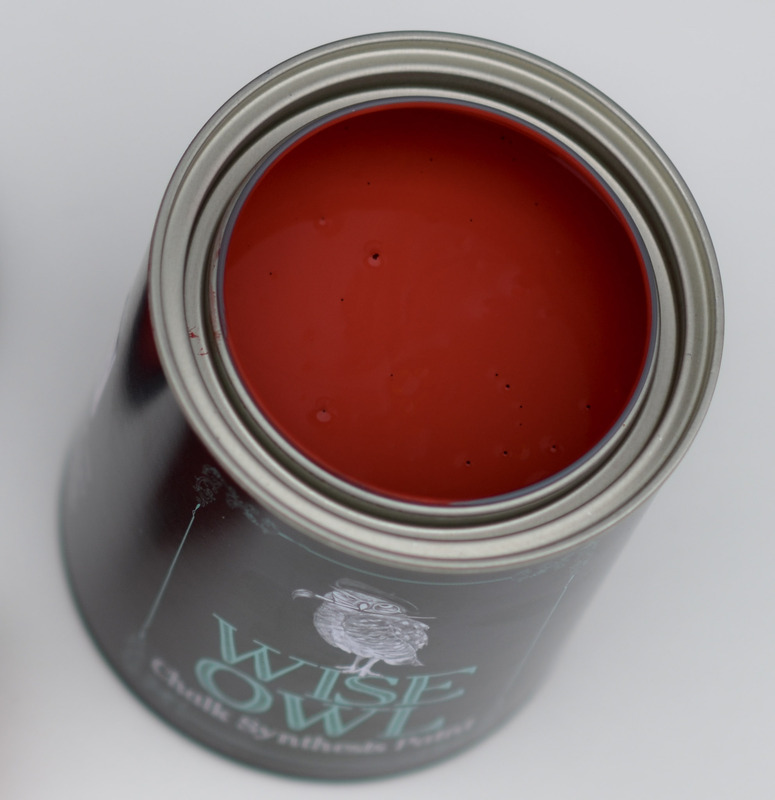 Our glaze can be painted over once dry without any issues should you decide to change the finish. Have more questions? Drop us a line and let us know! We love to help! Cling On! 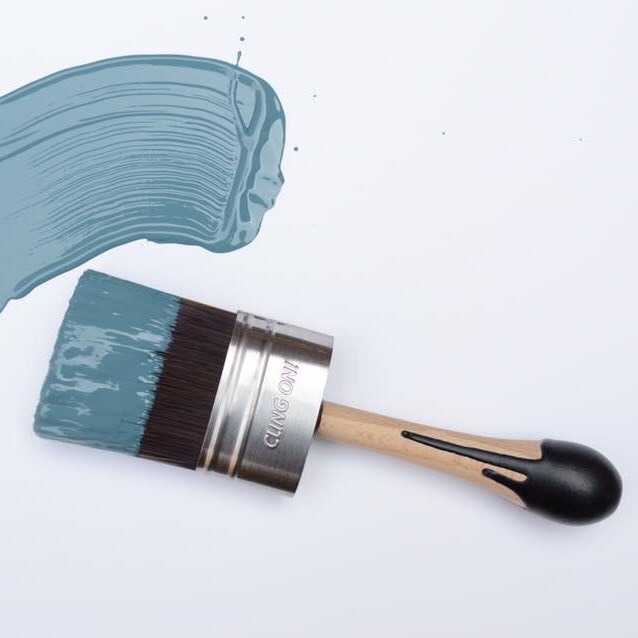 brushes are the favorite brush among furniture painters. 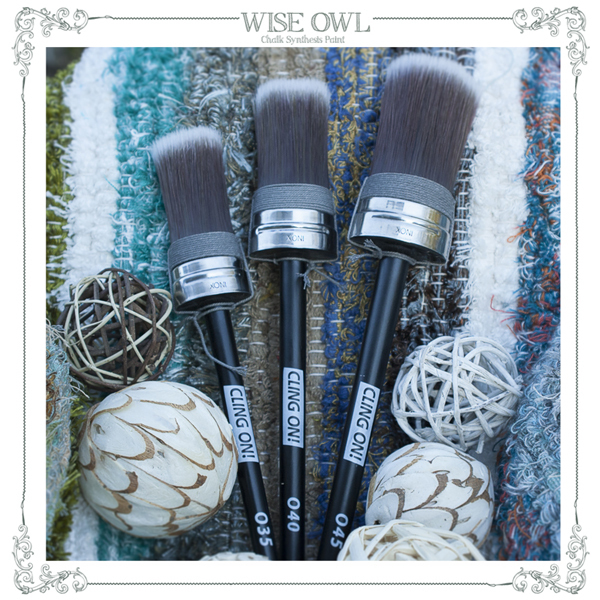 They offer superior application, resistant to shedding, and smooth flawless finishing. Featuring premium synthetic filaments, beech wood painted handle, fully locked in epoxy cement to eliminate shedding, and a stainless steel ferrule. Hand made in Holland, Cling On! is designed for all waterborne materials. 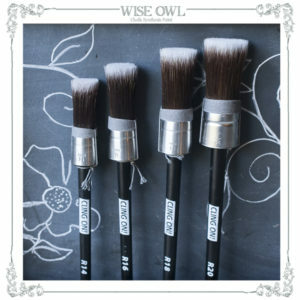 Brushes are available in round, oval, flat, block and angled styles.